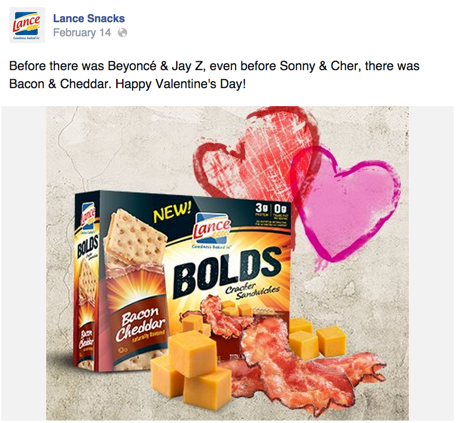 Lance Bolds was a new product of Lance Snacks that launched in the spring of 2014. With more extreme flavors like Bacon Cheddar and Pizza, the brand was targeting to a younger demographic. Lance Bolds sought to align itself with a youthful crowd by sponsoring professional skateboarder Nyjah Huston. I shaped the brand voice and created social media content for the launch of the product. I led art direction for content on Instagram, Facebook, and Twitter. I worked closely with Huston's social media team for scheduling posts on both brands' social networks. I worked with a media company executing Facebook and Twitter ad buys. 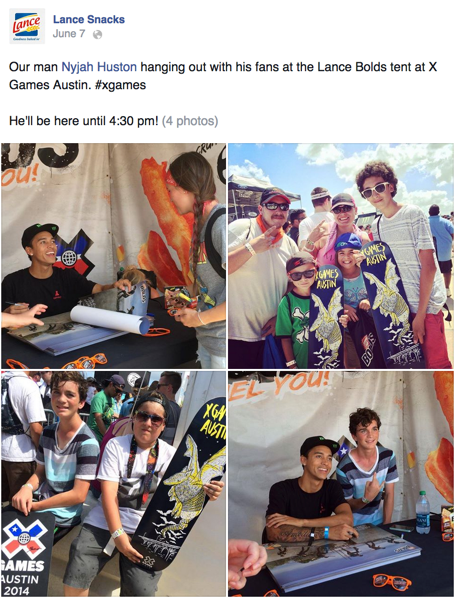 I also did event coverage during X Games Austin.